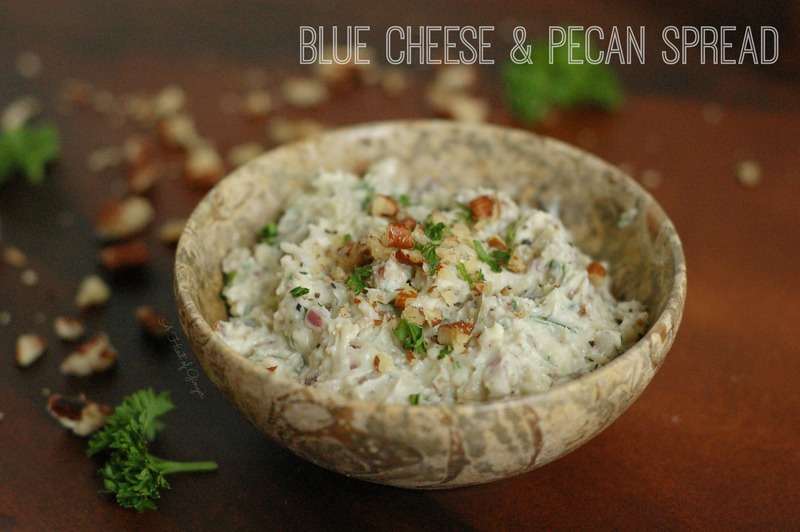 A crowd favorite for the blue cheese lovers in your family at your next holiday meal or get-together. 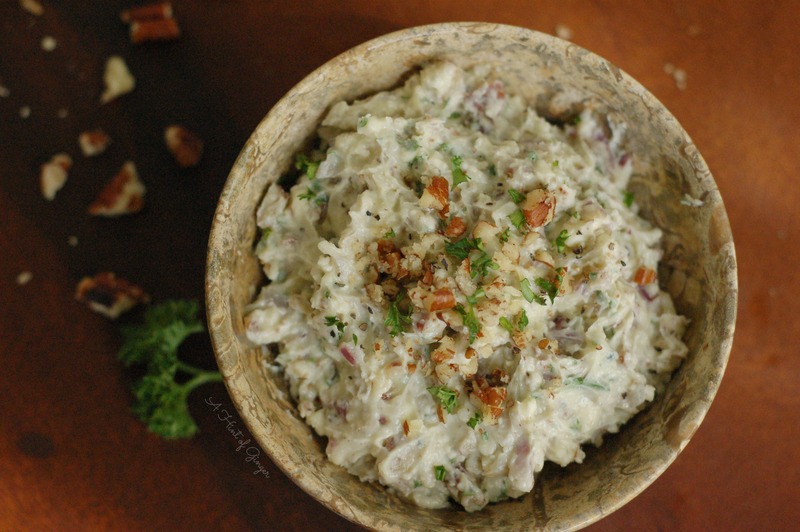 Pair with french bread, apples, or celery for a unique appetizer spread. Over the years as all the nieces of my family got older and feel in love with cooking or baking or trying recipes they found on Pinterest, we have inspired new traditions in our family and brought new flavors and ingredients to the mix. Our family get-togethers have since turned into foodie events, whether brunches for mothers day or an “appetizers only” New Year’s Day gathering where we ended up with enough food to feed twice as many people as were there. We also take the opportunity to share new favorite dishes and recipes and share secrets of what we’ve found work and don’t work with each of them. We all bring our inspiration to great amazing potluck holiday menus. My mom now even looks through the newspaper or magazines for ideas of new things to try out. The other year, she wanted to make stuffing in little pumpkins…only problem was being able to find them that close to Thanksgiving. My baked brie with crescent dough has evolved to incorporate new flavors and ingredients based on family favorites…from plain to blue cheese and walnut to orange marmalade. My dad finds ways to engineer cooking surfaces to make the fish he catches, including a wok station using camping stoves, giving him ample prep and cooking space to dish up mahi mahi two ways; citrus marinated fish with mango salsa and fish marinated in and topped with tomato, pepper, and jalapeño salsa. As we approach the holiday season, my husband and I are thinking a lot about our families, traditions, and our holiday favorites and how to incorporate these into our Rwandan Thanksgiving. This spread, my bourbon pecan pie, my autumn salad, and my aunt’s sweet potato biscuits are likely to be on the list of potluck items I bring to our Friendsgiving this year. I debuted this spread at a summer family BBQ a couple years ago and it was a hit with all my blue cheese loving family members… a little upgrade on the traditional stuffed celery or a unique appetizer spread instead of hummus or ranch dip. Pair this with french bread, apples, celery, or any other tasty pairing and it is perfect for any get-together you have. In a mixing bowl, blend together the blue cheese and butter using a fork, until smooth. Add the rest of the ingredients and mix together. Serve alongside french bread, crackers, or apples.